You’ve probably heard some Christian, somewhere; utter the words, “It’s just impossible for me to vote forfill in the blank . If I have to make a choice between the lesser of two evils then I’m just going to have to do the right thing morally and choose neither one. I think I’ll just vote for a third-party candidate or a write in candidate or not even vote at all. While I respect the decisions that others may arrive at during what has become one of the most unusual election cycles I’ve ever witnessed in my lifetime I do believe that some who say I can’t vote for fill in the blank have yet to consider what America would look like under the presidency of those who are running for the office. I really don’t have the space to run both the Democratic National Platform and the Republican National Platform, but you can check those out for yourself, and you should. And when you lay those platforms and their candidates beside one another and make comparison you see that the huge difference between the two platforms reflects the huge difference that would result in America if a liberal is elected once again to be the leader of our nation. Catch this is you don’t read anything else. 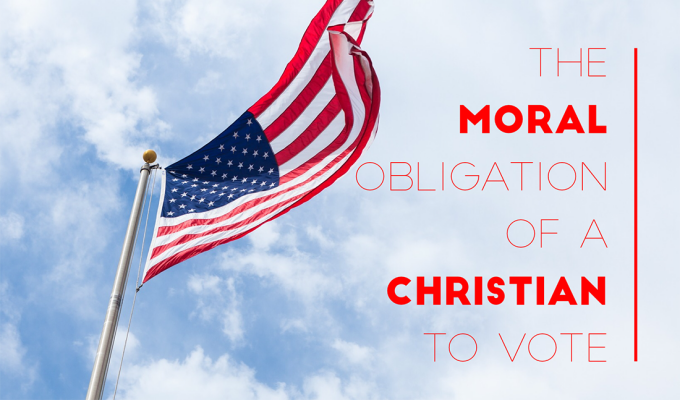 The Bible is clear in its teaching that you and I have a moral responsibility to vote and influence elections. You and I both know that in I Peter we are described, as believers, as “exiles” on this earth. Since this is the case, we apply what the prophet Jeremiah said in Jeremiah 29:7 when speaking to the Jews that were living in exile in Babylon. I know that there is a temptation to just throw your hands up in the air and declare that you’re not having anything to do with this whole election “thing” this year. But we can’t do that....morally...we take to heart what was said by the prophet Obadiah who came down on the people of Edom and gave them a clear rebuke by declaring that when they stood by and did “nothing” when the Babylonians conquered Jerusalem, they indeed had done “something”...that something...which was nothing...was morally wrong. If Christians just stand by and watch and do nothing, by not researching and understanding what our nation will become like under the leadership of the next president then we will be just as bad as those who push a godless, liberal agenda to the “max” upon our children and grandchildren. So the question becomes: Which candidate and their representative platform is most likely to bring the best results to the nation we live in? There is nothing morally wrong with voting for a “flawed” candidate. In fact, every time you’ve ever voted in an election you’ve voted for a “flawed” candidate. You can in good conscience vote for candidatefill in the blank and the platform that you believe will do more good for the nation. When you do that you are making a good moral decision that follows the admonition to “work for the welfare of the country. Not to do so will make it more likely that the opponent who you believe will be worse for the country will be elected, because they will need one less vote to win. You say, well God may be punishing or judging America or want to bring us into a time of persecution. I do not find it recorded in the Bible the admonition for believers to...work for or seek or hope for the persecution of the nation. Just the opposite is indicated in the Word of God. We do what the Lord wants us to do...and then the Lord will do what He will do. The better question might be: Can Christians in good conscience act in a way that will help a godless and liberal agenda be thrust upon the nation. You know...the pro-abortion, pro-gender confusion, anti-religious liberty, tax and spend, big government, anti-Semitic...you get the idea, the list really does go on and on. But perhaps the most crucial impact will be the impact of the appointments that will occur on the Supreme Court of the land. Activist judges are already dictating whatever they want from the bench without any consideration of the people. And we can’t do anything about their dictates. They’re not elected...they’re appointed...by Presidents. The right thing to do for every believer is to make a careful and thorough evaluation of what it would mean for either candidate to be elected and then vote for and work for the candidate to do the most good for the United States of America. Morally, it’s the right thing to do. Next week, I’ll make a few comparisons between the two choices and the platforms they represent and the results that are likely to come about. 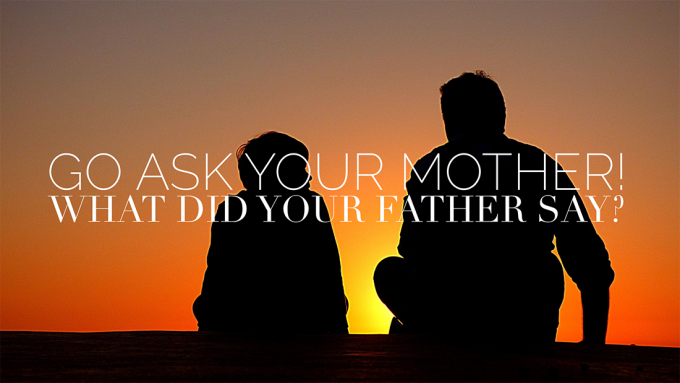 These are a couple of things you might hear in today's family. Our children knew that technique didn't work. Parenting children should be a team effort. So be a team. Set parameters! ALWAYS be consistent with consequences… Proverbs 22:6 "says "Train up a child in the way he should go; even when he is old he will not depart from it." The key word here is "TRAIN." It means - to guide or instruct…It's a type of behavior through instruction and practice over a long period of time. Each day we as parents and grandparents have a precious and wonderful opportunity to guide our children and grandchildren to follow our Lord Jesus Christ in all they do…Please read: Psalm 78:1-8 and then commit to guiding our children in the way of the Lord.